3×3 Magazine is celebrating the 10th anniversary of their annual Professional Show with a call for entries for a new competition. The 3×3 ProShow is the only truly international competition for illustration. It is open to all illustrators, art directors, editors and designers in all countries for commissioned and unpublished work produced in 2012. As part of their tenth year celebration 3×3 Magazine will be awarding actual medals and paper certificates for all winners and will celebrate the show at Society of Illustrators later this year. 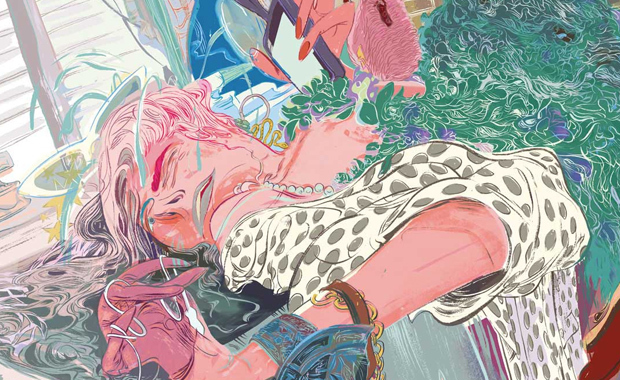 3×3 is the first magazine devoted entirely to the art of contemporary illustration. Were looking for fresh ideas that enlarge the scope of illustration, further our cause of making illustration relevant among a much larger group of art directors and art buyers. We’re looking for images that engage us, that make us think, that make us appreciate more fully the craft of illustration. We are looking for the next big thing that propels the industry forward, we are not looking backwards, we’re looking to the future. We’re celebrating those image-makers that are either on the brink of greatness or those who continue to prove themselves year after year. Entry categories include: Advertising, Animation, Annual Reports, Books, Calendars, Cartoons/Comics, Editorial (Conceptual, Food & Beverage, Portraits, Sports, Travel & Leisure), Fashion, Gallery, Graphic Novels, Greeting Cards, Packaging, Pro-Bono, Posters, Sci-fi, Self-Promotion, Sequential, Textiles & Patterns, Three-Dimensional and Unpublished. Aside from the Professional Show, 3×3 Magazine is also hosting a Student and a Picture Book Show. More details about these competitions can be found on the official website. The fee is $35 per entry. There is also a publication fee for the selected entries.